2013 has been the year of Shakespeare for me. 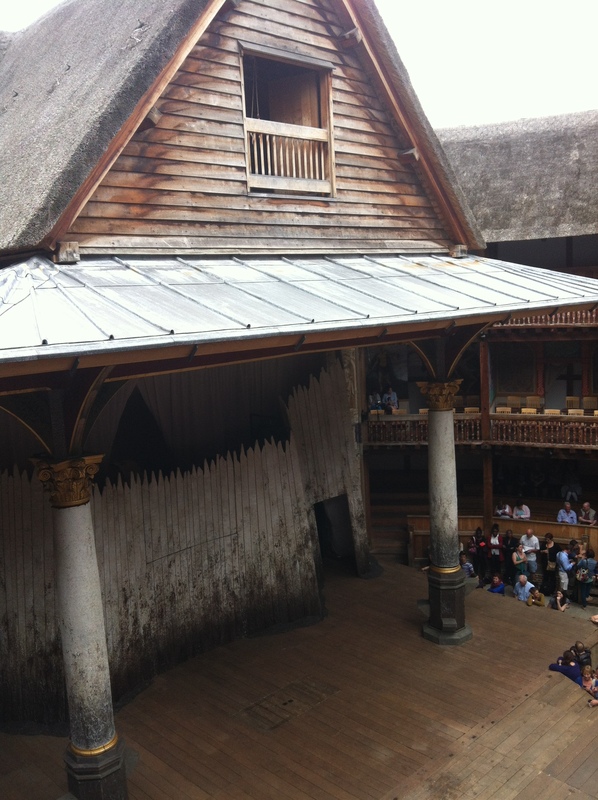 Firstly, I visited the Globe in London to watch Macbeth which captivating watching the actors interact with the groundings. Even yanking umbrellas to the ground when it started raining. The rain only added to the bleak atmosphere of Scotland and the drama on stage. I was also fortunate to see Hamlet in Stratford-Upon-Avon, the home of Shakespeare in the Summer. Again the powerful portrayal of a man descending into madness. An incredible experience, making me want to see more live theatre. What’s the next best thing? Eating food of the time of course! The Star and Dove in Bristol, is a super cosy tavern which on a cold winter’s evening is just beckoning to fall in to one of the leather sofas with a pint of real ale. With dishes like coddled duck egg with truffled cream, and smoked cheese, served with dark rye bread or collared hand of pork with pickled walnuts and stuffing of anchovys, lemon and nutmeg as the small plates on the tavern menu, you know that the full dinner menu options are going to be very special. Once a month, they host a Victorian Breakfast taking inspiration from housekeeping books of the period. This months included a shoulder of mutton and truffled sausages (saucisses aux truffles), – Pan roasted organic sausages, a seasoning of nutmeg, dressed with one or 2 glassfuls of madeira. Which sounds like an epic way to start the morning, which I can’t wait to try out for my friends birthday in February. But what brought us to The Star and Dove on a Thursday evening a few weeks before Christmas you ask and what does this all have to do with Shakespeare? 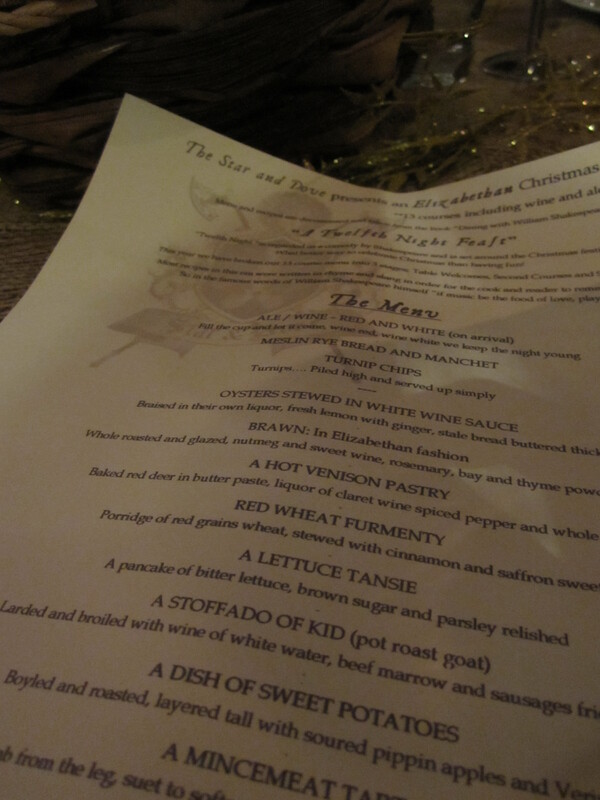 Well for a couple of weeks from the 27th November, The Star and Dove are hosting ‘A Twelfth Night Feast’ based on the Christmas Shakespearian Christmas play. People play fast and loose with the phrase ‘feast’ but my goodness this was, 13 courses of good food with good friends. Each dish was explained to us and in some cases eating suggestions from the super friendly and knowledgeable staff who were clearly having as much fun as we were. And we had an absolute hoot! Apparently, most the recipes of this era were written in rhyme and slang in order for the cook and reader to remember them. So be prepared for some weird and wonderful descriptions. Are you ready to see lots of pictures of food and I’m proud to say we did a pretty good job finishing off most of these delicious dishes bar some scraps. 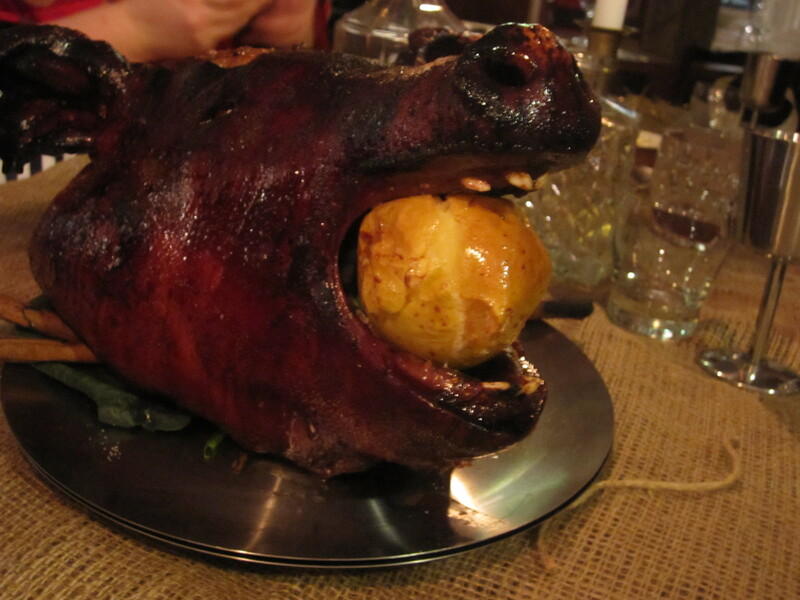 Warning – some pictures might not be suitable for vegetarians. 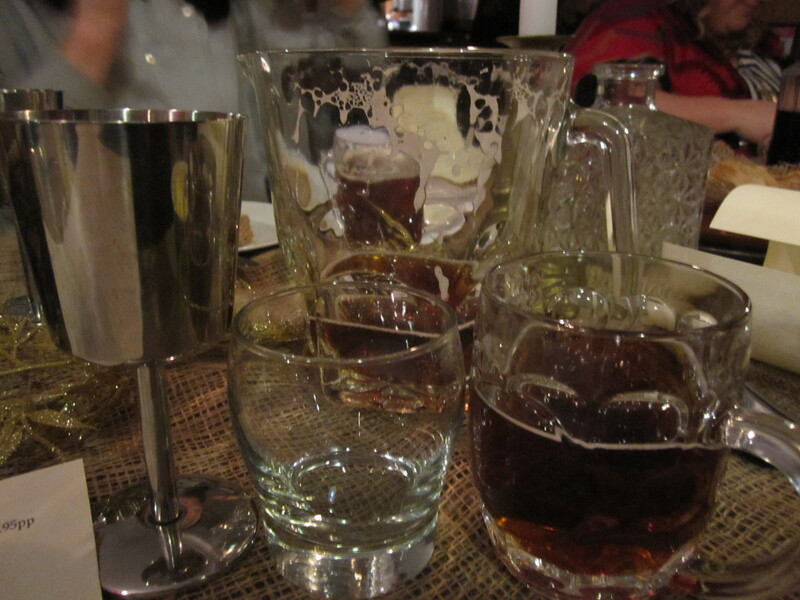 Ale/Wine on arrival, ‘Fill the cup and let it come, wine red, wine white we keep the night young’. 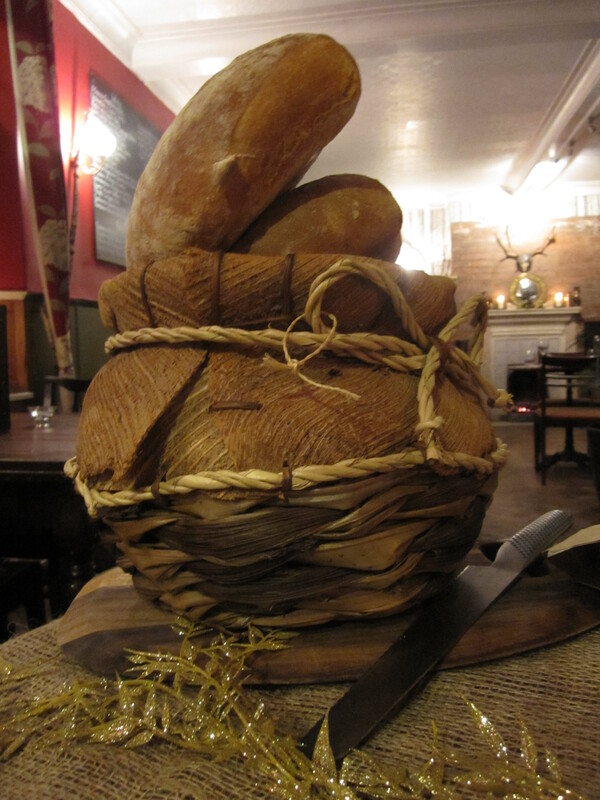 A jug of a festive ale, went down far to easy amongst us served alongside the Meslin Rye Bread and Manchet loaves to hack into and tear to eat help soak up some of the ale before moving on to the red wine. 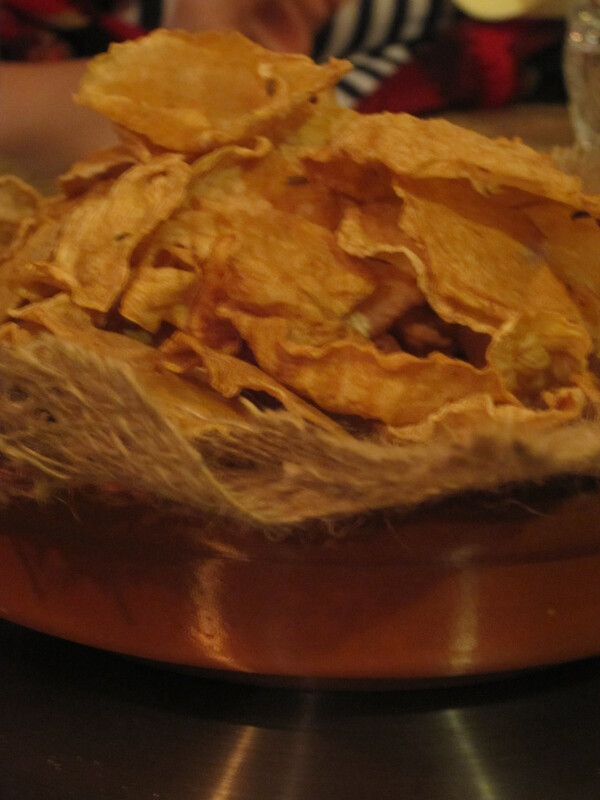 Served along the second dish of the 13 dish feast was the Turnip Chips ‘Turnips…Piled high and served up simply’. Wafers of turnips, fried and with a sprinkle of fennel seeds blow the socks of any of the flouncey kettle crisps on the market today. Eager for the feast to continue, the next dish was greeted with laughter, applause and generally bafflement on how we would tackle the dish. 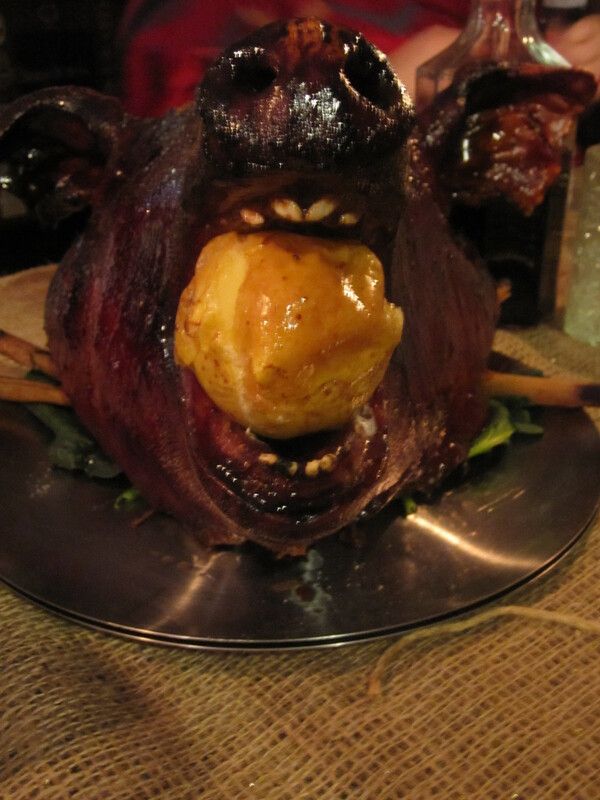 A whole pigs head!!! Not for the squeamish eater. 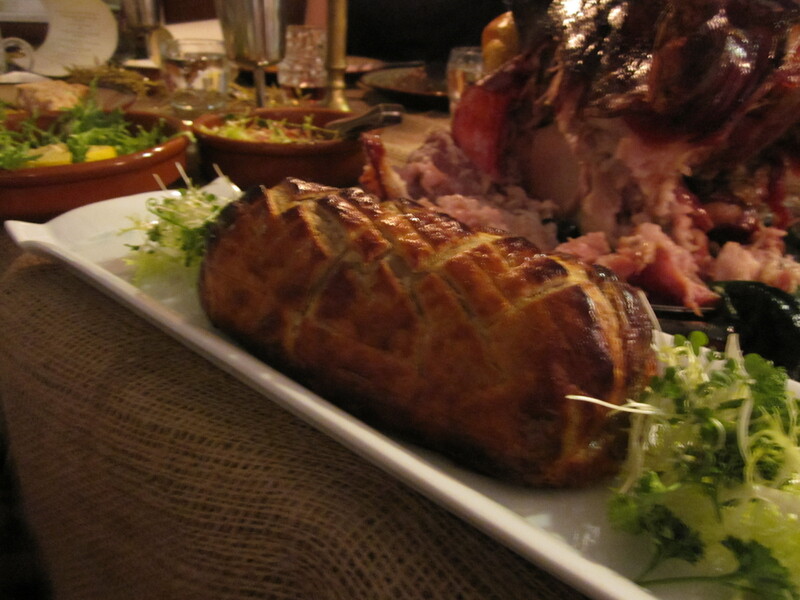 ‘Brawn: In Elizabethan Fashion – Whole roasted and glazed, nutmeg and sweet wine, rosemary, bay and thyme powdered fine’. We may of named him Eric before tucking into the sweet succulent meat, the moist fall apart meat from the cheek and the caramelised brined flesh from the back of the head. We may of also nibbled on the crispy ears. Apparently we had been the best group for tackling most of the meat from the head. Looks scary (especially when an eye makes an appearance!) but a truly well cooked and flavoursome piece of pork. We may of also scared off one or two veggies on the other table. Then the dishes just started rolling in! 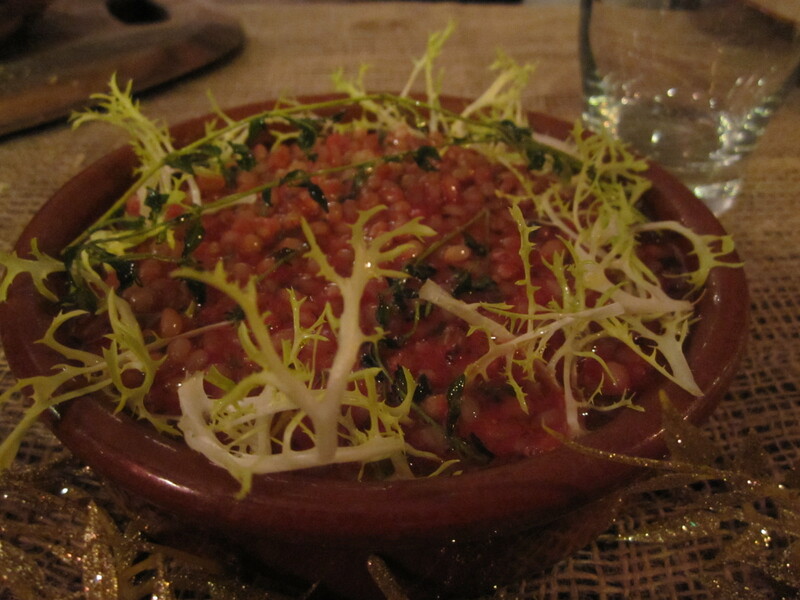 Below is the ‘Red Wheat Furmenty – Porridge of red grains wheat, stewed with saffron sweet’. One of the few vegetable dishes on the meaty menu, the cinnamon with beetroot and grains would make a lovely summer salad as well as a compliment to the gamey dishes served at Christmas. Sorry for the slight blurry picture, I was clearly to excited to get tucked in to the ‘A Stoffado of Kid (pot roast goat) – Larded and broiled with wine of white water, beef marrow and sausages fried brown’. This was my first taste of goat and bone marrow, and I’m totally sold. The marrow melted into the sauce to give a rich depth to the tender goat and mini meaty sausages. A vegetarians nightmare but my idea of the perfectly balanced meat treat. 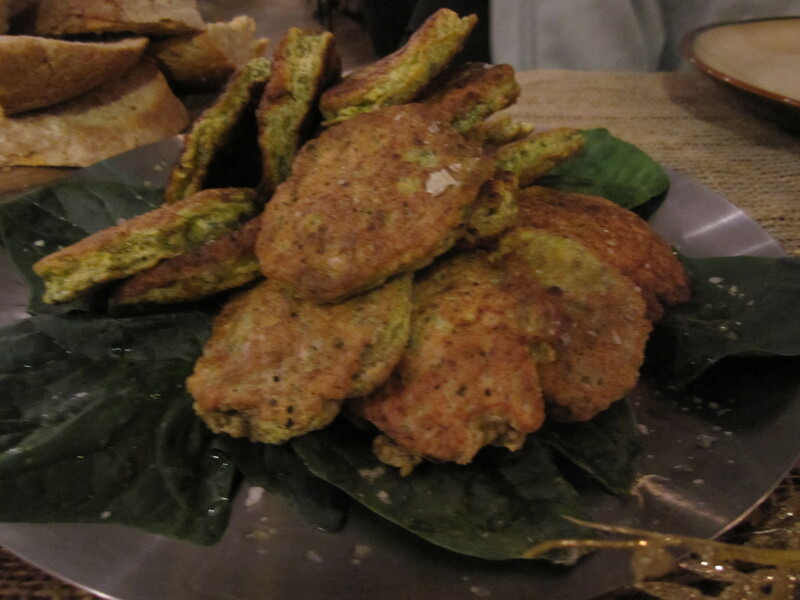 This mountain of ‘A Lettuce Tansie – A pancake of bitter lettuce, brown sugar and parsley relished’ worked really well piled high with the Brawn and the sweet potatoes. Fragrant egg white pancakes on a bed on greens that were over looked for more meat. 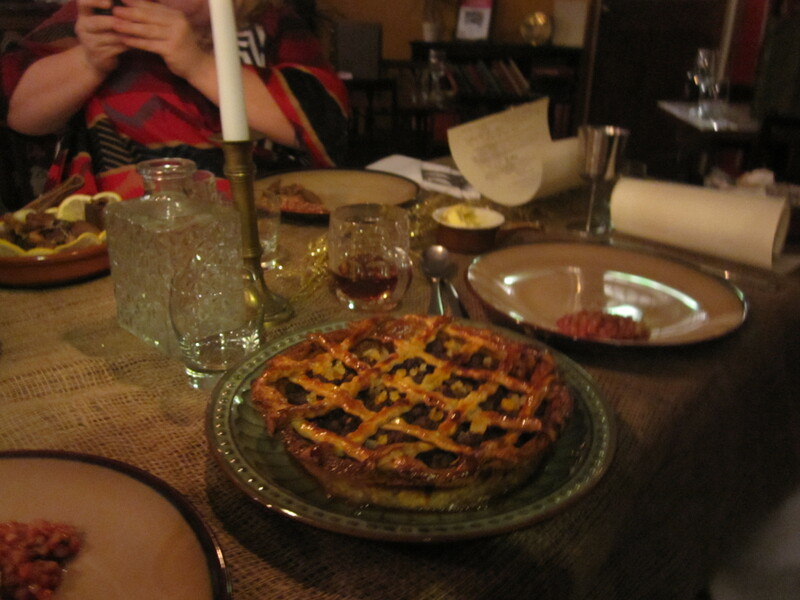 I was really looking forward to the next dish, ‘A Mincemeat Tart – Shredded lamb from the leg, suet to soften with old English spices hence baked in a coffin’ I’m sure for most people the idea of meat in a mince pie is one of repulsion. 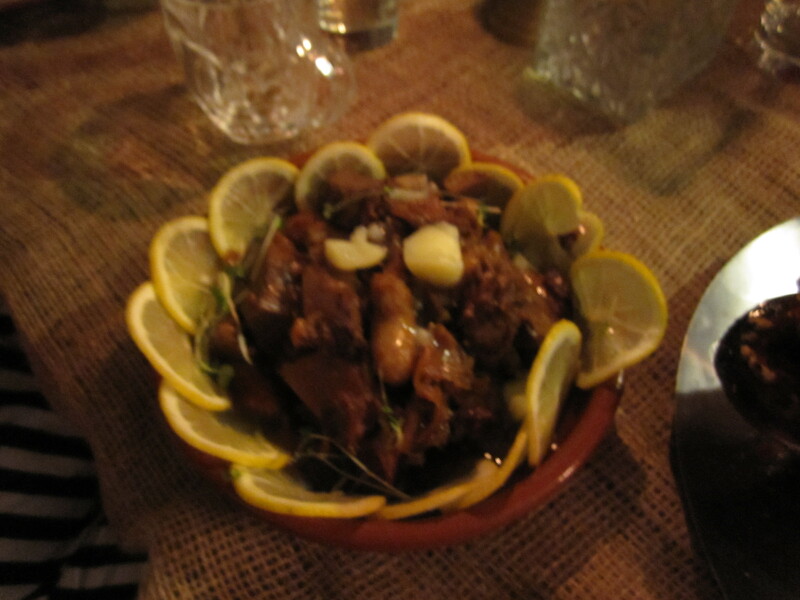 But actually, next to the pig’s head, I think this had to be one of my favourite dishes we tried that night. Not to overly spiced or sweet with the fruit and the tender lamb balanced the tart. 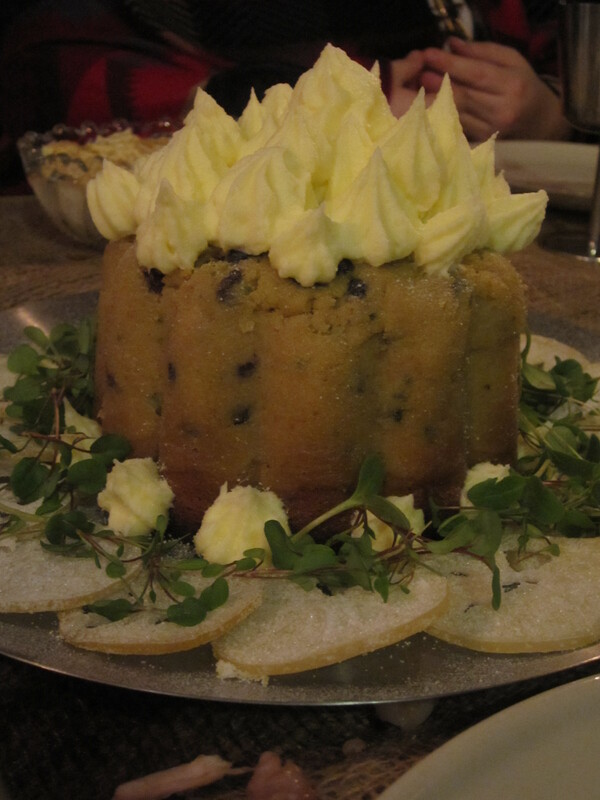 Try a traditional recipe this Christmas, you won’t regret it! The last time I had an oyster was at The Duck and Waffle with my Meat Meet up girls. Dressed with the traditional condiments. 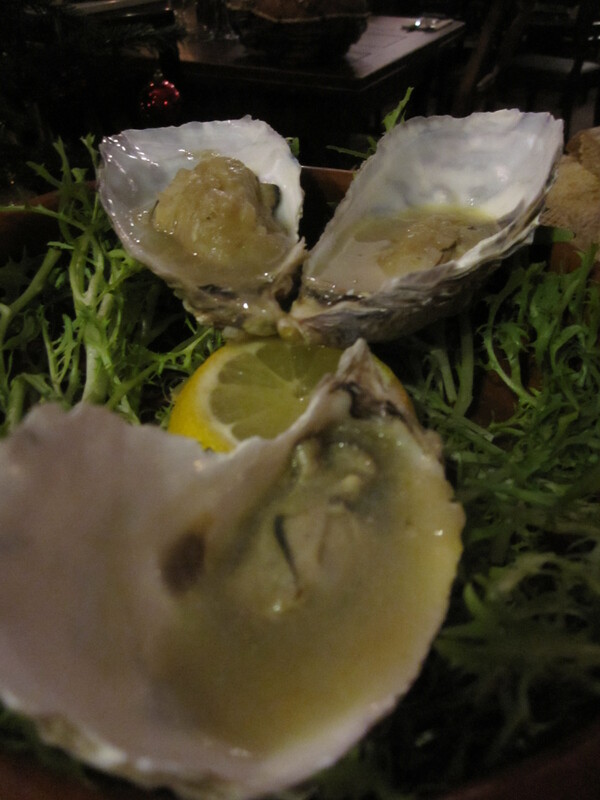 ‘Oysters stewed in white wine sauce – braised in their own liquor, fresh lemon with ginger, stale bread buttered thicker’ A whole new experience, the fresh salty sea flavour with the citrus and fire from the ginger worked beautifully and even converted some oyster haters at the table. 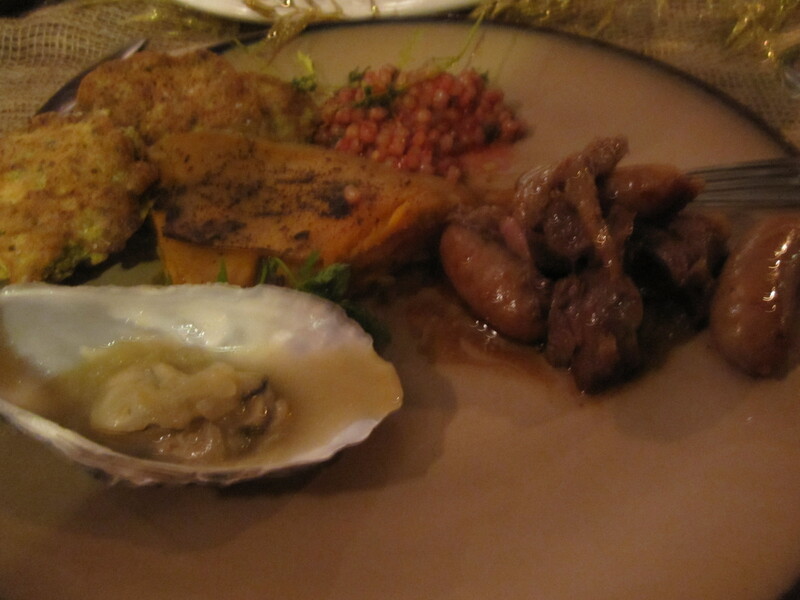 Below is me slowly building up my plate of food, including the ‘Dish of sweet potatoes – boyled and roasted, layered tall with soured pippin apples and Verjuice’ which didn’t get a picture of the entire dish sadly before being demolished. The sweet notes from the potato and the sharpness from the apples again worked nicely with the richer meats. We were also surprised that there was access to sweet potatoes at that period. But happy they did! When we thought there couldn’t be any more meat to bring to the table and be enjoyed, out came the ‘Hot venison pastry – baked red deer in butter paste, liquor of claret wine spiced pepper and whole mace’ An early version of a Wellington, perfectly pink venison laced with big flavours in a crisp case, might of jsut tipped me over into a food coma. Utterly delicious. Taking our time to make sure we had done justice to all the savoury dishes after all the hard work the chef’s had put in preparing the feast for us. The desserts came out again to applause and wonderment. Any doctor or medical profession can tell you that no matter how much savoury food you have just eaten, there is always room in your pudding stomach for something sweet and that came in the form of three amazing dishes. 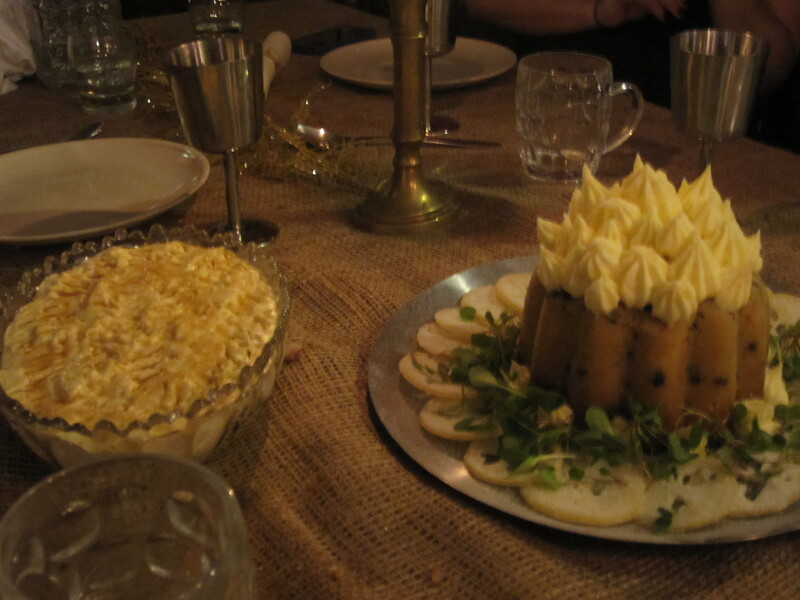 ‘An Almond Pudding – Steamed pudding of cream and almond paste, currants, pistachios, rose water to taste.’, ‘Sherry – sack posset with sherry, nutmeg, allspice be merry’ and ‘ A Shallet of Lemons – lemon’s cut out and boiled sweet, crystal sugar, fine herbs, peeled rind scattered neatly’. The almond pudding rocked my world. I LOVE marzipan and pistachios so the combination of the two in a moist dense but light sponge was fantastic. 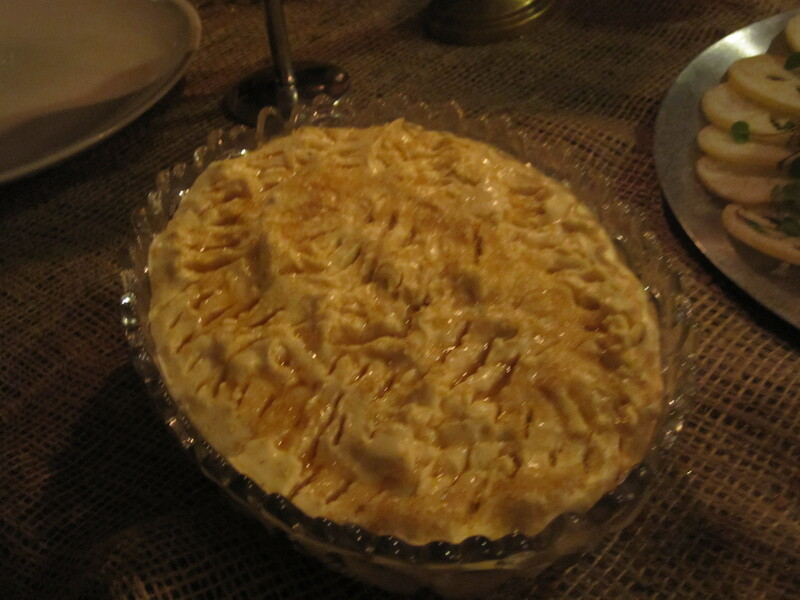 I really want to have a copy of the recipe, with the rosewater buttercream, a truly decadent dessert. The lemons, were not how I expected it. Crystallised lemon with a scattering of sorrel and sherbet made the most refreshing sweet treat after the feast. Like modern sour sweets but much more natural and even more addictive! Finally, the posset, was lightly spiced with a good ole heavy hit of sherry throughout the creamy based which blobbed on top of the almond pudding just added to the naughtiness! The feast was flavoursome and so well cooked. There wasn’t anything so unusual for the sake of being weird but just really tasty dishes that will leave an impression for a long time. The feast was £34.95 per person with ale and wine which you can agree is an incredible price for the quality and quantity of food as well as the theatre of the whole experience. I will be going back for dinner and the Victorian Breakfast very soon.